New Year’s resolutions are top of mind this week and Anaheim Majestic Garden Hotel would like to offer up a few ideas for your 2017 list. Anaheim Majestic Garden Hotel is cheering for Team U.S.A., and especially for our hometown Olympians. There are 33 athletes with Orange County ties taking part in the Summer Games in Brazil. Go U.S.A.! We have a secret. 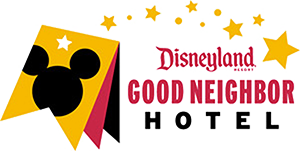 Besides having the largest rooms in the area, California’s Anaheim Majestic Garden Hotel also has one of the best viewing spots for Disneyland® Resort’s spectacular nightly fireworks show outside of the park. Disneyland® Park has been putting on a summer fireworks show for families since 1956. Along with Anaheim, California’s warm temperatures come longer days and Anaheim Majestic Garden Hotel has a few ideas for all that extra sunlight.